What does Child Inclusive Mediation mean? This means we are able to arrange to meet with children as part of the mediation process where appropriate, and to find out from them how things are for them, as well as ideas they might have for the future, without leaving them feeling responsible for making decisions. This can be very helpful when parents are not in agreement about what their child’s expressed views, wishes and feelings. Parents sometimes suggest that the child or children are involved in the mediation process. Sometimes the child makes the suggestion. Child Inclusive Mediation can only take place once the first mediation meeting has taken place. It is the mediator’s decision whether child inclusive mediation is appropriate. The Mediator will talk to you both about the importance of not questioning your child before and after they meet with us. We will ask you to sign consent for us to meet them and that you understand that you can’t ask them questions afterwards or try to influence what they might say. One of our qualified child consultants Mediators will meet with the child or children separately talking with a child or children about how they see things. The Meetings usually last approximately 45 minutes. Siblings will be seen separately or together depending on what the child or young person themselves prefer. The child can either meet with the mediator who is already working with the parents or, as often happens, with a different mediator. Children like to be informed and they appreciate having their views and opinions heard, although it is very important that they do not feel that they are responsible for the overall decision making. We will also think with you and your child about how best to feedback any outcomes from the mediation to them. After we have met with the child/children we will meet with you both again to give you feedback and then you can further your discussions in the mediation session. The Mediator will share some information with you at the initial Mediation information meeting about this. It is important that you don’t ask the child to say anything specifically to the consultant. This can be very distressing for yur child and place them in a situation of being forced to choose and make adult decisions that are not their responsibility to make. Children often build alliances to their parents and may have a strong sense of loyalty to one parent over another. What happens if my child says they want something different to me and my ex? It is not unusual for children to tell one parent they want one thing and to tell the other parent they want the exact opposite. It is hard for children to be in the middle of their parents conflict and to feel that they are being asked by their parents to choose. It can also be hard for parents to accept and understand that your child may not necessarily have told you how they were truly feeling and what they really want. The mediator will help you both to understand this. Parents are the decision makers in mediation, not the children as that would be unfair and unrealistic to give children the responsibility for making adult decisions. 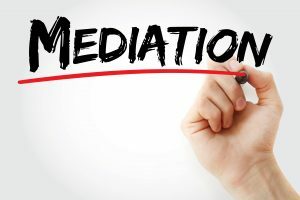 The mediator can talk to you more about this at the MIAMmeeting or the first mediation meeting.